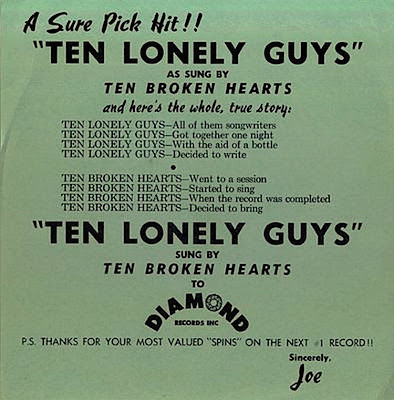 Ten Broken Hearts were an unreal vocal group present in the doo wop guides with..
-Ten Lonely Guys/Shining Star. 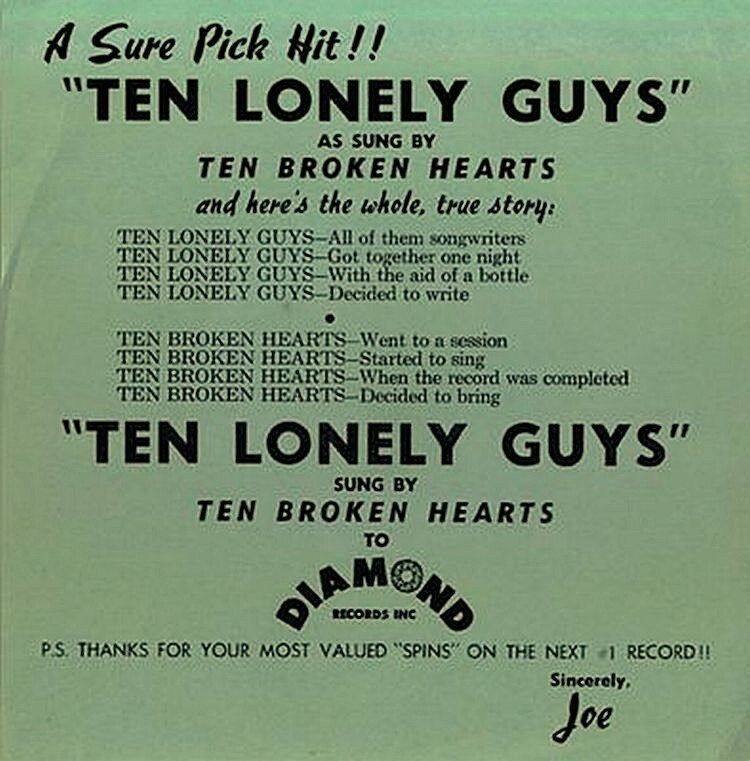 Diamond Records-1962. 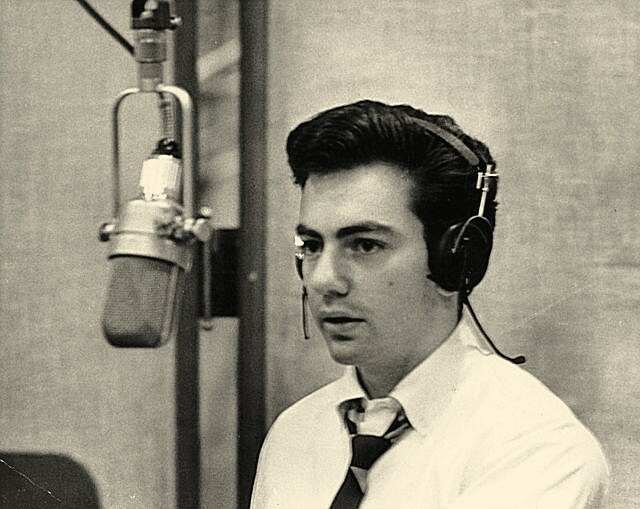 This "vocal group" were formed by ten songwriters Bob Feldman, Jerry Goldstein, Richard Gettehrer, Neil Diamond, Edward Snyder, Stanley Kahan, Lockie Edwards, Lawrence Weiss, Cliff Adams and Wes Farrell. who written the A Side for Pat Boone but before they recorded the song as a demo with Neil Diamond on Lead( because he had the best voice out of all of them,see picture above) and finally released in Agust of 1962 as a 45's on the Diamond Records. 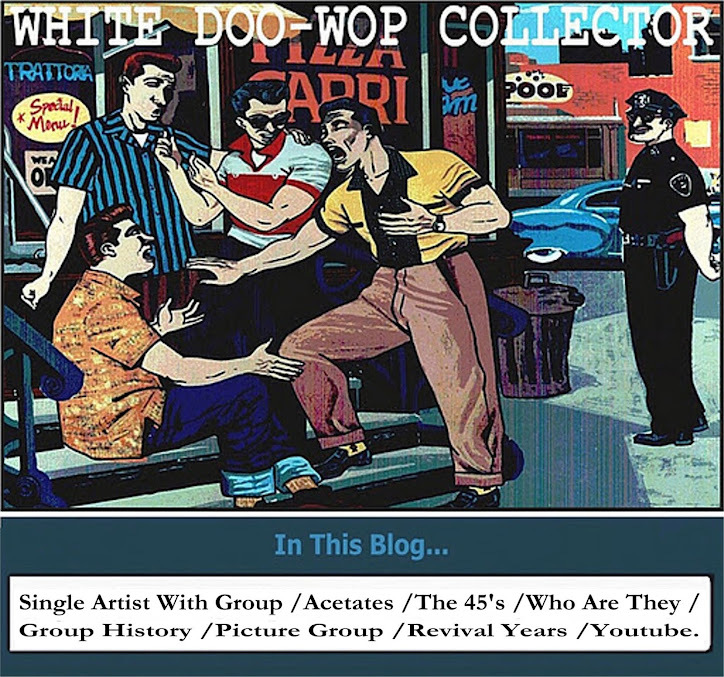 Pat Boone charted #45 in September of 1962 with the side_Ten Lonely Guys.